Mukesh Kumar from Patna, B.E. - B.Tech Graduate. RETAILING BUYING AND MERCHAND.. VENDOR MANAGEMENT SOURCING PRODUCT COSTING TEXTILES PROCESSING.. DENIM WASHES FABRIC KNOWLEDGE DESIGN INFORMATION TECHNOL.. ERP SOFTWARE. PLM (PRODUCT LIFE CY.. ERP MS EXCEL MACRO MS WORD MS PPT SAP ADOBE PHOTOSHOP COREL DRAW COMPUTER NETWORKING..
are one of expert skill area's of Mukesh Kumar . 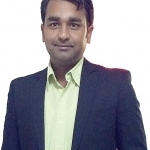 Mukesh Kumar is working in Export/Import industry.